Will robots, driven by artificial intelligence (AI), take the place of humans? Are the usage areas of AI ethical? These are the most frequently asked questions about the technology, which could revolutionize our society. Since AI entered our lives and found a place in the media, people have asked these questions, especially in developed countries and saw how the land lies. We should not underestimate these research and surveys, rather we should take them to heart. When people share their ideas with technology producers - consciously through surveys or unconsciously by using a digital tool - they direct technological developments. A recent study by U.S.-based Brookings Institute revealed that in the near future, robots will not get every job in the country - at least for now. But AI, which accelerates and improves automation, will take over a quarter of them. The research states that nearly 36 million Americans will be exposed to automation, which means that machines, using the existing technology, will get at least 70 percent of the jobs that people perform today. Cookery, waitressing and other employees of the food sector, short-distance truck drivers and office workers who carry out secretarial-stationary works are among the ones that will be the most affected by this "takeover operation." People who follow technological developments predict that developments in AI technology will not be realized only in industrial manufacturing and warehouses or in offices where routine works are carried out. Meaning, we will see more kiosks that allow people to enter a system and make their own process, as well as more automated hotel operations. These smart systems will ensure that people do not need to work in more than one area. Mark Muro, a senior fellow at the Brookings Institution, said: "The American population will either develop their abilities or gain new abilities or need to change jobs quick." Muro says that the Midwest region, which fell behind technologically after the second Industrial Revolution. Known as the Rust Belt of the U.S., this region will be hit the hardest. He added that the small cities in this region will be harmed the most and stressed that cities like Indiana and Kentucky were facing the biggest risk. It is not important that these examples are from the U.S., what is important is why they face the biggest risk. Aside from the fact that at least half of the workforce in these cities works in the manufacturing and transportation industries that are based on manpower. For Muro, youth employment in human labor-intensive industries, like the food sector that would be the first to lose jobs to automation, can cause a great shock in sociological terms. 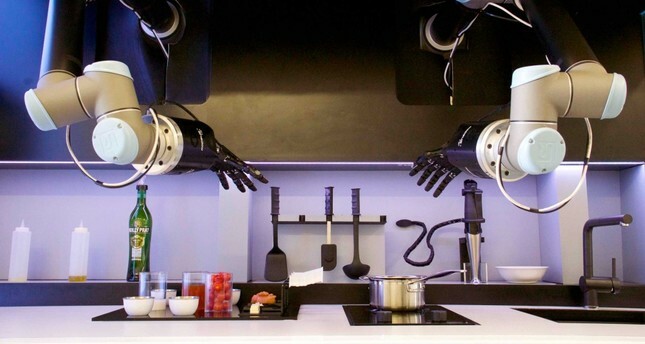 It seems inevitable that many restaurants will turn to self-service; the number of employees will decrease due to robotic kitchens and just one person would be employed instead of five at hotel receptions. A survey conducted by the University of Oxford last year also draws a pessimistic picture of the near future. According to the survey that involved over 2,000 people living in the U.S., people think that AI will harm or endanger humanity. While 41 percent of the respondents argue that AI developments should be sustained in a strong way, 22 percent of them objected to the idea. Some 28 percent of the respondents state that they neither agree nor disagree with this idea. Only 10 percent say they do not know. On the other hand, it is understood from the answers that most of the respondents think AI machines will lead to more evil than good in the next decade. Some of the participants are very pessimistic. While 34 percent describe the effect of AI as very harmful to humanity, 12 percent think that AI will lead to human extinction. On the optimists' side, 26 percent said that AI would lead to good, while 18 percent said they could not be sure of the future. The Oxford survey asked a very important question, "Which area of use of AI makes you more worried?" While the respondents put AI-based virtual attacks and data protection violence as the first, they listed their expectations from the state as, "Prevention of AI monitoring systems that cause civil rights and private life violations; prevention of the use of AI to provide fake and harmful online content; prevention of government, corporations, institutions, organizations and individual-targeted virtual attacks supported by AI, and protection of data privacy." There were other interesting data in the research as well. One of them was that the negative impact of AI will be felt primarily on low-income earners and women. If that is the case, the first victims of AI would be routine workers like in call centers and manpower-based works in factories. However, the study also revealed the American profile that supports developments related to AI. It was said that these people comprise of men who usually support the Republican Party, earn at least $100,000 a year and have computer engineering or programming background. Ethical worries about AI concern not only people and academics but also giant companies that primarily use, apply and present this technology to serve its customers. Facebook, which was accused of launching the #10YearChallenge tagged stream on social media to train its algorithms that apply machine learning techniques over the past few weeks and was criticized by the British government for harmful content on Instagram, it includes within its body, will open an ethics institute to sweep the criticisms. Facebook, among the most frequently criticized technology companies, has invested $7.5 million dollars in the Institute of AI Ethics, to be established within the body of the Technical University of Munich. Joaquin Quinonero Candela, Facebook's director of Applied Machine Learning Department, said in a statement: "Facebook predicts responsible and sophisticated use of AI in every job we do. We develop tools that can measure whether biased behaviors are performed involuntarily in some models we developed like Fairness Flow. We helped set up organizations that work for the same purpose, such as Partnership for AI and AI4People Initiative. However, an independent academic contribution to complex problems related to AI also plays an important role." Christoph Lütge from the Technical University of Munich said: "At this institute, we will develop ethical rules for the use of AI in social and economic fields. Based on the evidence, this research will focus on the problems in the interface between technology and human. These studies will develop primarily within the framework of trust, privacy and impartiality. For example, we will question these ethical values in subjects such as how people leave traces of data on the internet or how they are exposed to some information through algorithms."